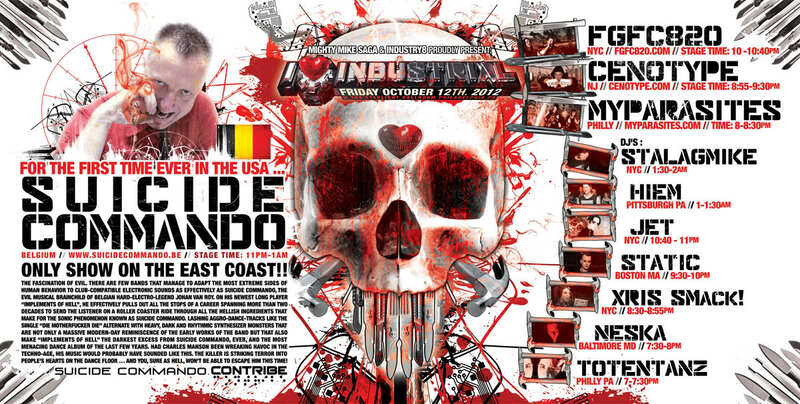 10/12/12 – I LOVE INDUSTRIAL w/SUICIDE COMMANDO **Only East Coast Show** ! I LOVE INDUSTRIAL w/SUICIDE COMMANDO **Only East Coast Show** ! Only Show On The East Coast! !